Join us at Salmon Days, October 5 & 6, right in downtown Issaquah!! 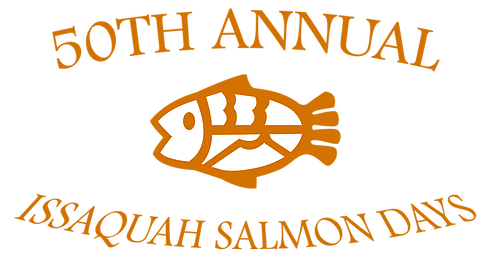 Salmon Days is presented by the Issaquah Chamber of Commerce with the goal of providing a community celebration focused on honoring the return of the salmon. Memorial Field, now the Field of Fun, hosts a number of free games and activities for families to enjoy. And finally, what began as an art show has manifested itself into a marketplace of more than 300 artists all on-site selling their handcrafted pieces.